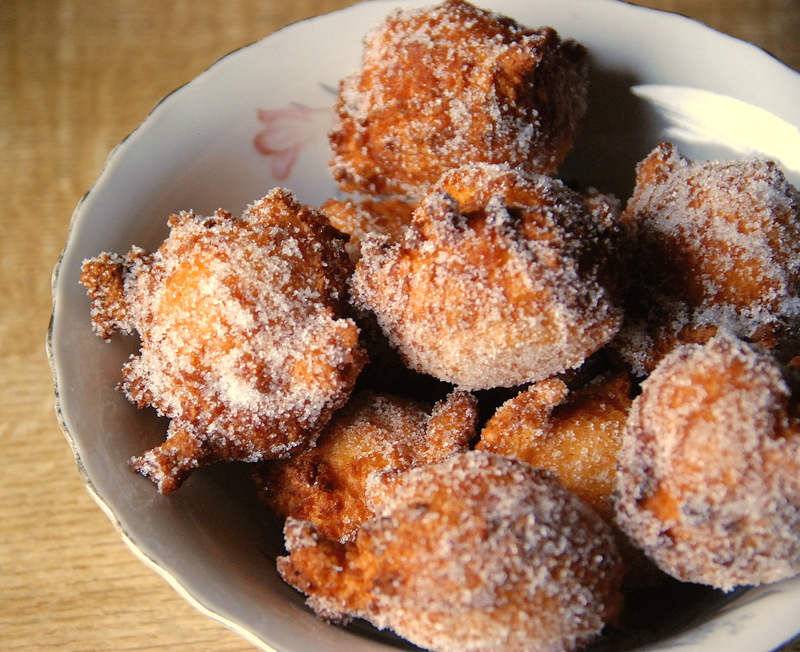 Vegan ‘Quarkbällchen’ – Traditional German Carnival Doughnuts | vegänsch. 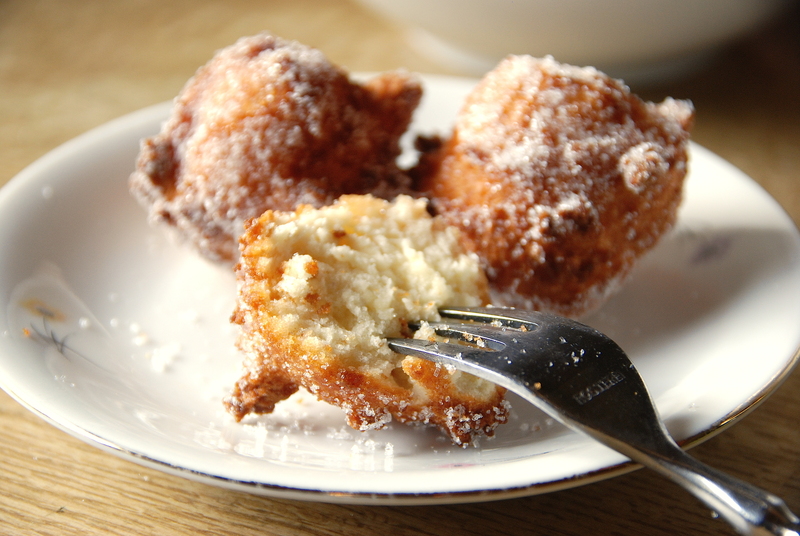 In a lot of areas in Germany it is common to make ‘Kräppel’ (or Berliner, Krapfen or Pfannkuchen, depending on the dialect) during carnival time – little treats fried in oil similar to doughnuts. There’s a more gooey, yeast-free version of it called ‘Quarkbällchen’ with Quark (= curd cheese, kind of a lighter sour cream) and I’ve decided to give them a vegan try. Luckily, the first attempt turned out pretty well and I’m a bit proud that the taste is so close to the original. 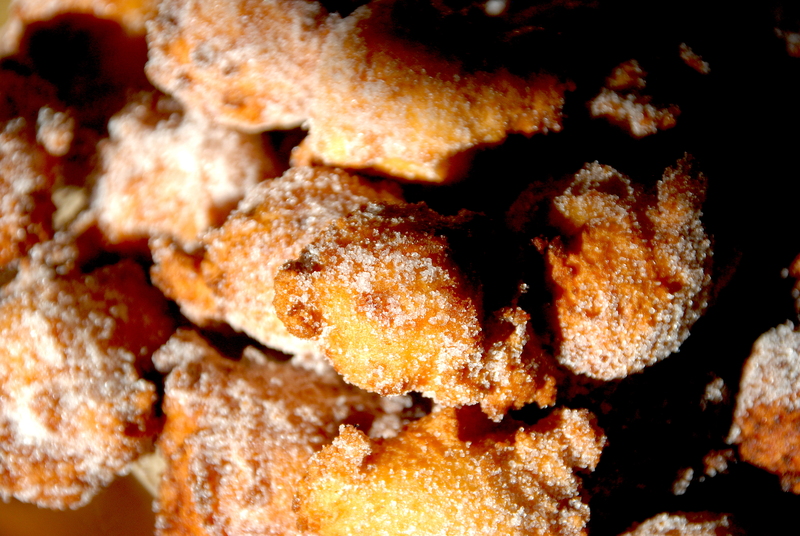 Get kneading and frying, and have a happy carnival time! 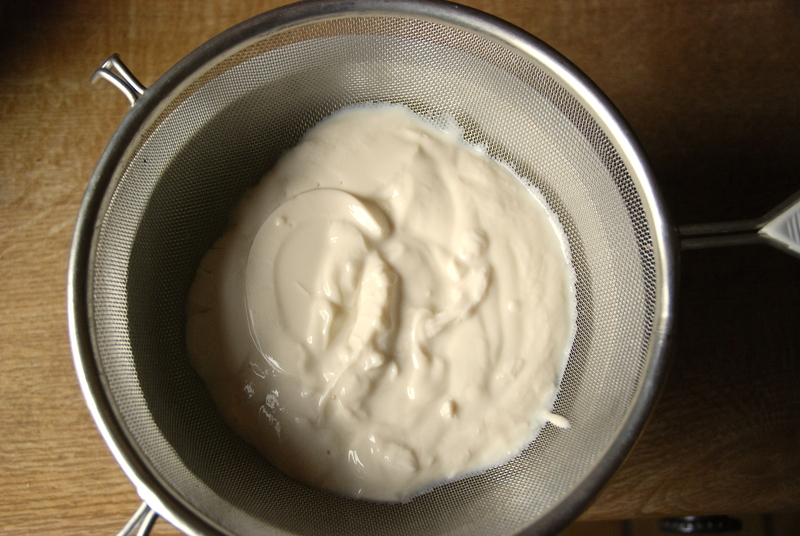 Start with putting the soy-yoghurt in a strainer (Sieb), put it over a bowl, set it in the fridge and let the liquid from the yoghurt drop out, preferably over night but an hour will work, too. 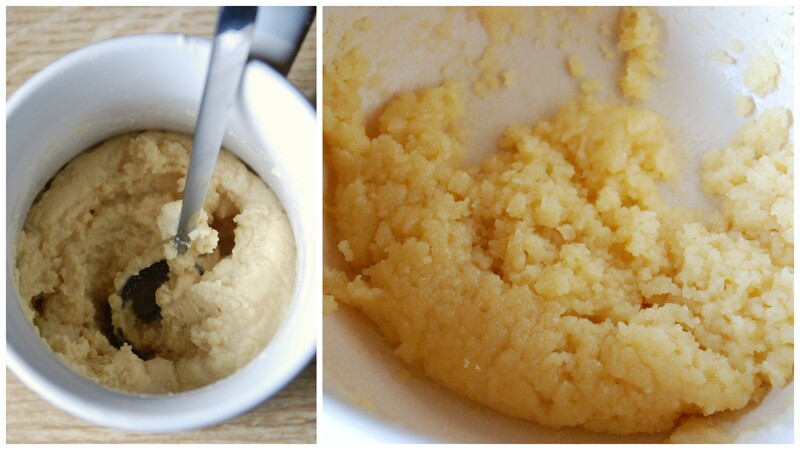 Meanwhile, blend your ‘eggs’ in a cup by mixing the soy-flour with 9 to 10 tbsp of water. 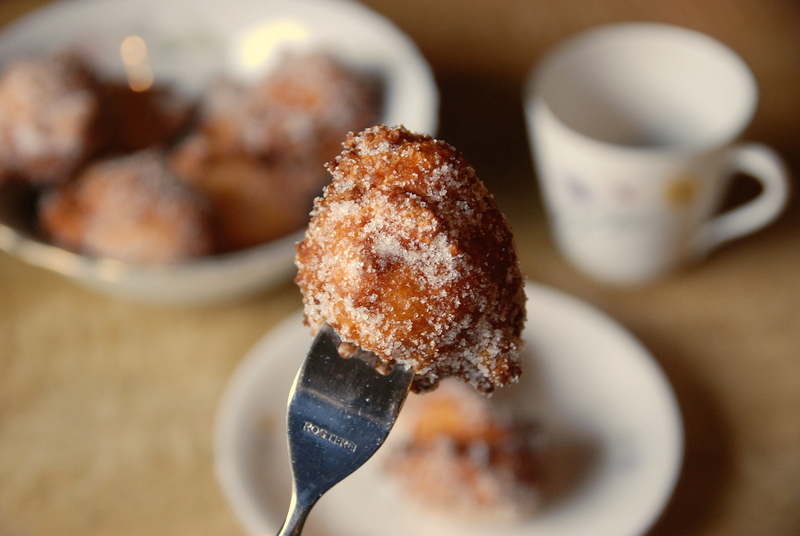 Pour 250g of sugar in a big bowl and mix with the soy-flour mixture until it’s a crumbly mass. 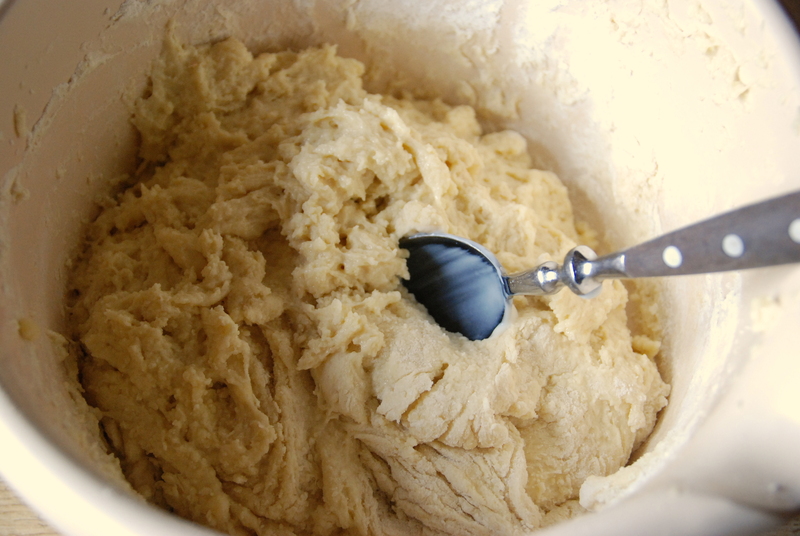 Combine flour and baking powder in a seperate bowl and add slowly to the mixture, blending it with a hand blender. Add your preferred vanilla flavour. Take the strained yoghurt, add some lemon juice to make it a bit flaky and add to the dough. Blend first, then knead until well combined. Now take two teaspoons and carefully put one teaspoon of dough in the oil, like a little gulf ball. 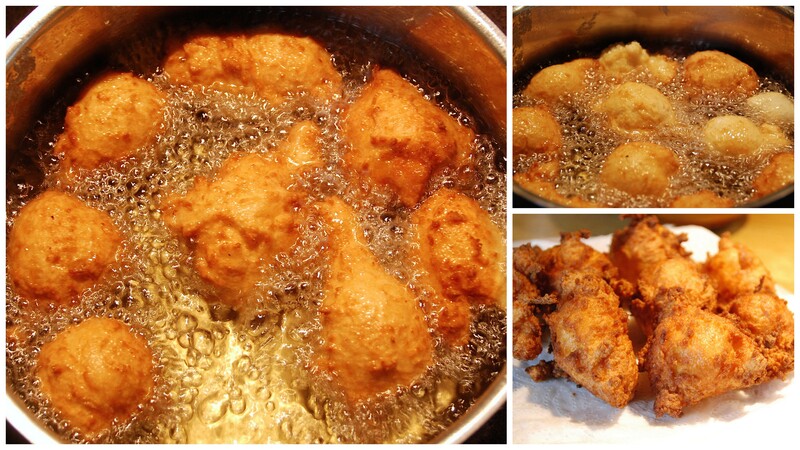 Don’t worry if you can’t form the perfect round ball, it looks even nicer if they have individual funny shapes ; ) Fry for about 6 to 7 minutes (depending on your oil and your preferred crispyness). Start with two or three and cut one open after a bit to test the consistency and if you need to adjust the oil temperature. It’s easier than it sounds! When they’re ready, take them out with two forks or a spatula and put on a plate lined with paper towels. Little tip: They taste best if you prepare them a day before and store them in an airtight container or plastic bag overnight. 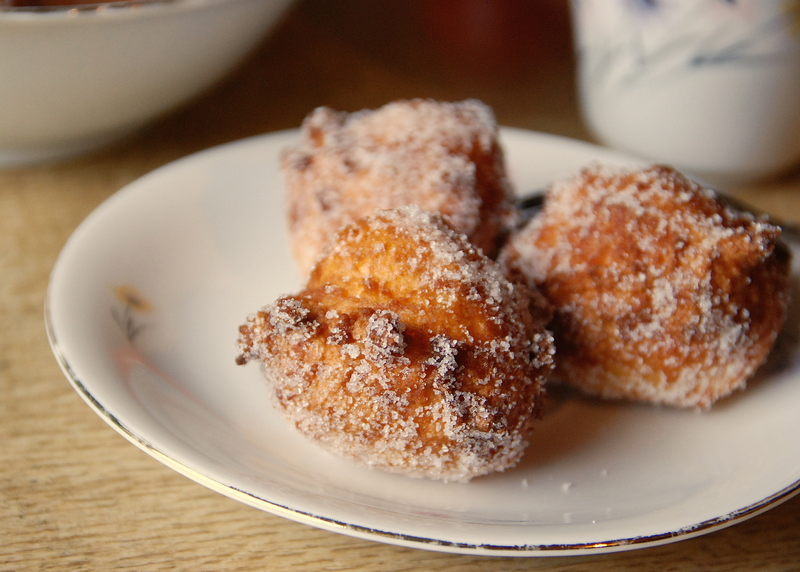 And now, enjoy your vegan Quarkbällchen with a cup of tea or coffee and celebrate carnival – Helau, Alaaf or as we say in my home village, Häi dou!